I’d like to introduce you to automotive author Scott Huntington! Scott will be a recurring author here in the future, and this is his first article with us. Welcome, Scott! Some kids ask their dad for help on a pinewood derby boxcar, but not Rockie Russell. He was building something that required a little more expertise. Instead of using sandpaper, this teenager was welding. And he wasn’t assembling a go-kart. 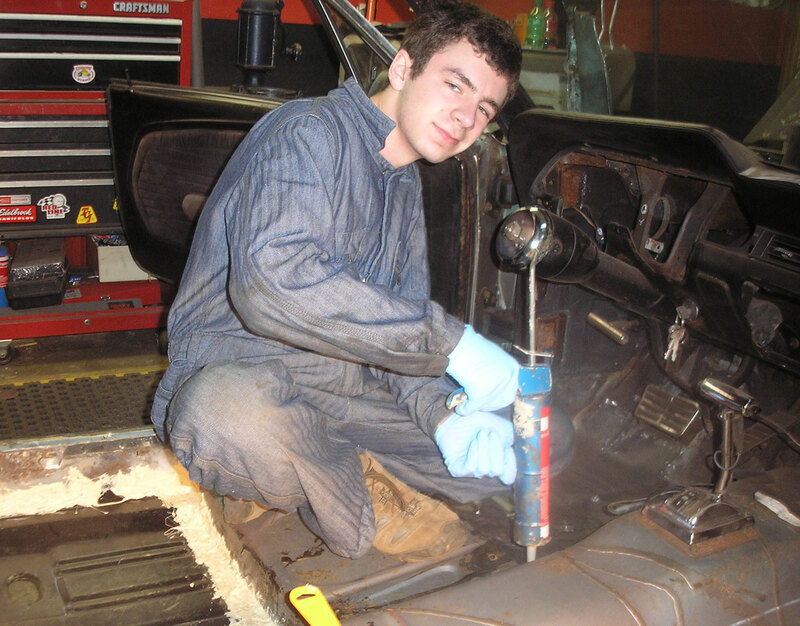 At 16, Rockie was restoring a 1968 Ford Mustang after receiving it for his birthday. The car was in disrepair after sitting in storage for ten years. The heavy rains of the Pacific Northwest managed to do some damage even though Rockie’s dad had done his best to keep it covered. The car was filled with rot. Everything from the rear window panel to the backseat, footwells and fuse panel were in need of repair thanks to the moisture. To get his Mustang back into working condition, Rockie ordered over 130 replacement parts including an entirely new vinyl top, a 22-gallon fuel tank kit, along with fender aprons, floor plans and outer wheelhouses, to name a few. The entire restoration project took 27 months, but it wasn’t as if Rockie was taking his time. His goal was to get the car to the Goodguys Pacific Northwest Nationals before he left for college at Washington State. With a week to go before the competition, things seemed to be falling into place – until disaster struck. The Mustang’s front wiring harness burned up. With such a limited amount of time before the showing, Rockie and his dad began to have some serious doubts that they could overcome such a tremendous setback. Luckily, they found a used wiring harness and successfully replaced the broken one. On the day of the registration for the competition, Rockie took the Mustang for a test drive and spotted a problem: the tires were too big and were rubbing against the quarter panels. Installing some shackles solved the problem temporarily, but when Rockie filled up the 22-gallon tank, the added weight dropped the rear end enough to cause more rubbing. Adjusting the shackles once again gave just enough clearance to solve the problem. 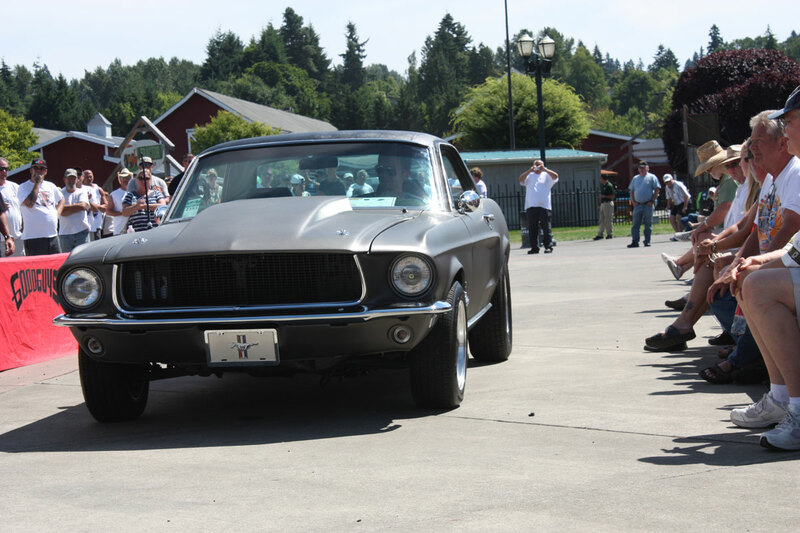 Rockie and his ’68 ‘stang still had to make the 15-mile trek to the competition. After a drive filled with electrical issues, Rockie rolled in leaking coolant and stalled out before he could find a parking space. He added a new alternator right on the spot and still managed to win the “Young Guys Pick” award. Unfortunately, the Mustang couldn’t make it home that night, so Rockie had to leave it a few miles down the road from the show. Even though he, his family and some helpful spectators had to push the vehicle into the awards area, Rockie went home with his prize – and a heck of a story to tell everyone at his freshman orientation. He also made a video about what he learned and used it to win a $500 scholarship from CJ Pony Parts, making his experience rewarding in more ways than one. Not bad for a 16 year old. Scott is an automotive author who one day hopes to make enough money to buy all the cars he writes about.